Home CAPITOL HILL Hindu American Foundation holds gala, policy conference in Washington, D.C.
Hindu American Foundation holds gala, policy conference in Washington, D.C. The Hindu American Foundation, an advocacy group with chapters around the country, held its first Capitol Hill gala dinner June 19, attracting a packed house at the Reserve Officers Association building, including some heavy-weight invitees which it said showcased the growing strength of the Indian-American community. 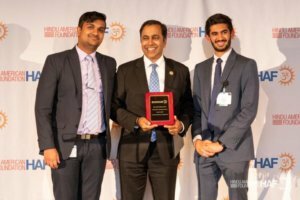 Attendees heard from members of Congress, Tulsi Gabbard, D-Hawaii, the first Hindu-American to be elected to Congress; Raja Krishnamoorthi, D-Illinois; and Kevin Yoder, R-Kansas. Comedian Rajiv Satyal regaled the audience with his humorous takes. 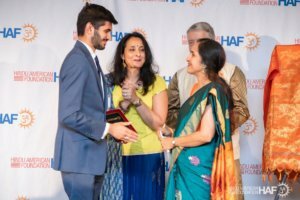 The HAF honored those people who have made significant and positive contributions to the Hindu American community and the wider public over the past year, the press release said. 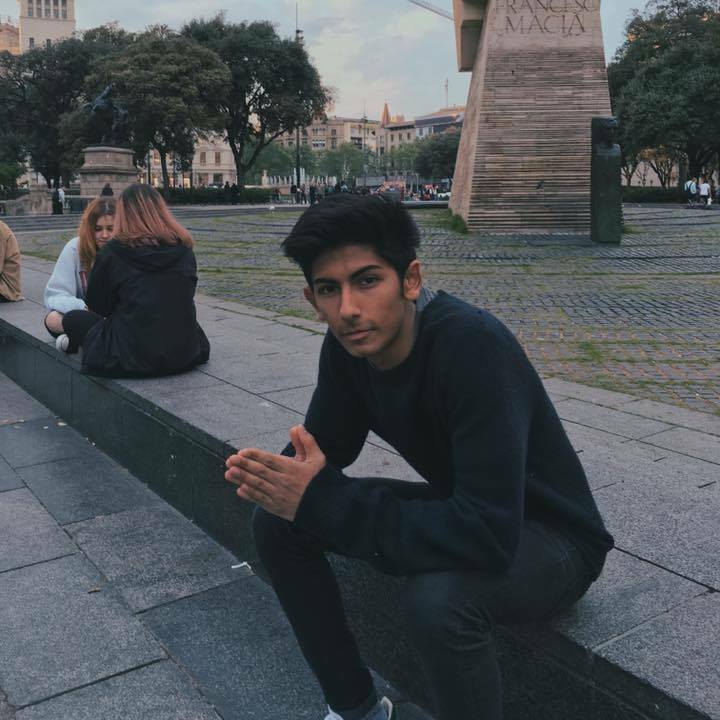 Vir Sahu was given the NextGen award for his work in 2017 to make Diwali an official school holiday at his school, Council Rock High School, outside of Philadelphia. Michael Lieberman, Washington Counsel for the Anti-Defamation League was given the Mahatma Gandhi Award for the Advancement of Pluralism. 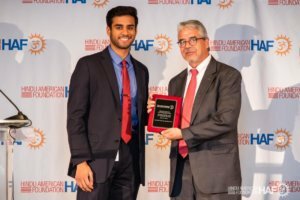 The 2018 HAF award for the Advancement of Dharmic Arts and Humanities was given to film director Mandar Apte, whose film “From India With Love” inspired by Dr. Martin Luther King’s visit to India to explore Mahatma Gandhi’s birthplace. The film chronicles the made by a group of former gang members, racial justice activists, and other survivors of violence. The group becomes transformed by the experience, by their time together, and by the discussions and meditation experienced on the trip. 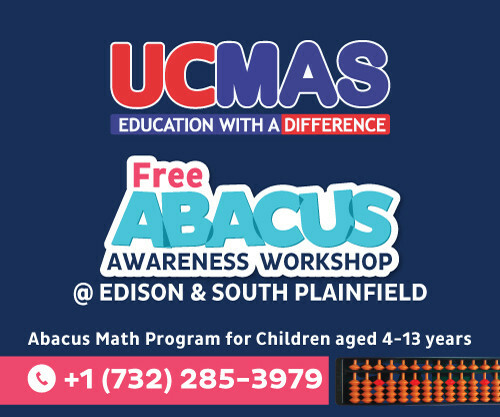 Apte has since worked to promote the Hindu concept of ahimsa (non-violence) as way to mediate conflict to major police departments across the country, foremost of these being the Los Angeles Police Department. The second Dharma Seva award went to Jeffery Long, Ph.D. a professor at Elizabethtown College, Pennsylvania, for his efforts to help mainstream Americans understand Hinduism in academia and public schools. “I have been honored to be a servant to the Hindu community. This is a tradition that has touched my life immeasurably,” Long told the audience. Each year HAF also gives a Friend of the Community Award. 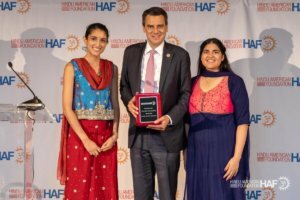 This was awarded to Rep. Yoder for his work championing immigration reform, as well as his leadership in the wake of the Olathe, Kansas hate crime shooting that killed Srinivas Kuchibotla and injured two others on Feb. 22, 2017. In his acceptance speech, Rep. Yoder called for reforming the American immigration system and clearing the green card backlog for high skilled workers and their families. Yoder cited how the wife of Srinivas Kuchibotla, Sunayana Dumala, faced deportation if she returned to India for the funeral of her murdered husband, because doing so would have jeopardized her immigration status as a spouse of an H-1B visa holder. Yoder told the audience that though Dumala has since obtained her own H-1B visa and returned to the United States, the case highlights the precarious nature of the current U.S. immigration system. The HAF also held its 3rd Annual DC Policy Conference the day before the gala on June 18, at the Rayburn House Office Building in the U.S. House of Representatives. The event focused on key policy concerns for Hindu Americans, including U.S.-India relations, immigration policy, and gun safety reform. 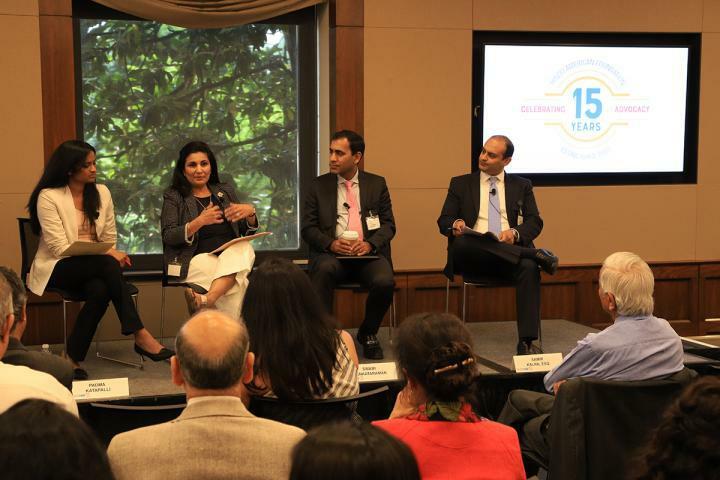 Keynoting the event was Nisha Desai Biswal, president of the US-India Business Council. Biswal, who was honored in 2015 by HAF for her previous work in the State Department, spoke to the growing realization in America of the immense opportunity that India represents. “Businesses are seeing India as a primary focus for investment,” Biswal went on to say. 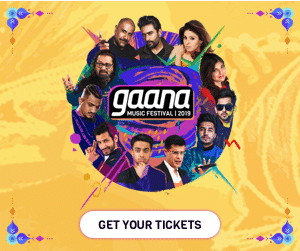 That indeed there would be points of friction between the US and India on trade, “but I would not see them as a point of alarm, but as a point of opportunity,” she is quoted saying in an HAF press release. A lively panel discussion ensued, moderated by HAF Managing Director Samir Kalra, Esq. and featured immigration advocate Padma Katapalli of GC Reforms, immigration lawyer Akanksha Kalra, Esq., and HAF National Leadership Council member Swami Venkataraman, who spoke about his own experience navigating the US immigration system.